You've won every trophy, climbed every mountain, defeated every zombie, planted every plant. Congratulations! Complete a daytime pool level with using Pea-shooters of any kind. Bowl over 5 zombies with a single Wall-nut. Blast 10 zombies at once with a Cherry Bomb! Survive the zombie onslaught after all lawnmowers have been used. Go trunk driving and spend at least $25,000 on Crazy Dave's Twiddydinkies. Stop the horde using only the Sunflower, Wall-Nur, and Chomper on any level. Defeat a normal roof level without using any Catapult plants. Pick up 30 coins in a row on a single level without letting any disappear. Accumulate 8,000 sun during a single level. Defeat 2 Gargantuars with Corn Cob missiles in a single level. Complete a daytime level by planting only Mushrooms and Coffee Beans. Complete a nighttime level without planting any Mushrooms. Defeat the last zombie in a level with a lawn mower. Immobilize 20 full-sized zombies with a single Ice-shroom. Keep 10 Twin Sunflowers alive in a single level. 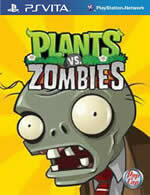 Complete a level using only explosive plants to kill zombies. Kill 10 zombies with a single lawn mower. Feel the rhythm, feel the rhyme, you've one level to destroy 3 bobsleds, its Jalapeno time! Build 5 Cob Cannons in a single level. Crush 5 zombies with a single Squash. Complete an extremely foggy level with using Planterns or Blovers. Complete a pool level without using water plants. Plant a Winter Melon on every lane. Complete Adventure mode a second time. Collect all Zen Garden, Mushroom Garden and Aquarium Garden plants. Complete Pogo Party without using Tall-Nuts or Magnet-shrooms. Blow up a zombie using a Potato Mine.